A major new report indicates that the endangered snow leopard is under significant threat, and it may not recover. 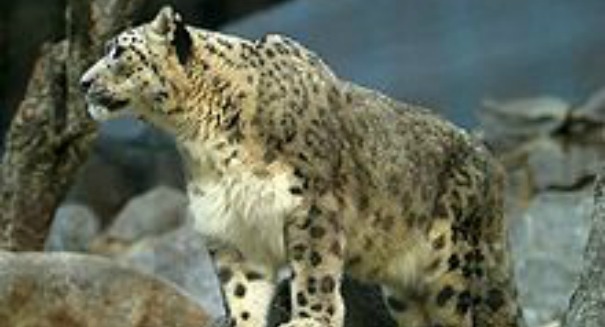 Is the endangered snow leopard on its last legs? An alarming new report suggests that despite protection efforts to save this alpine cat, hundreds are being killed by poachers, and the species may not survive much longer if something doesn’t change soon. Only about 4,000 snow leopards are still alive today, and since 2008 a total of 450 cats have been killed by poachers, according to the wildlife trade monitoring organization TRAFFIC. That estimate could actually be low due to the fact that many poachings are not recorded. Snow leopards are poached for their fur and bones, which can fetch a lot of money on the black market. Livestock herders also hunt them as they see them as a threat to their animals. And then there is the looming threat of global warming, which will soon destroy their habitat. “Based on the average number of cases known to experts over the average of nine years spent working in their geographic areas of knowledge, 221-450 Snow Leopards were estimated to have been poached annually since 2008,” the report states. “With the average rate of poaching detection estimated by experts at less than 38%, these numbers could be substantially higher.